The Portuguese midfielder Rafael Costa joined his current team, Boavista FC (Portugal), in July 2018. In Primeira Liga (Portugal), Boavista FC is in 14th position. With a height of 1.83m, Rafael Costa compares with Boavista FC's mean tallness. Born on January 19, 1991, his age of 28 equals his team's mean. He had 24 match appearances this season. 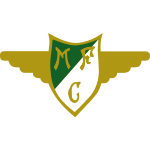 Before joining Boavista FC, Rafael Costa impressed at CD Fatima, Red Bull Brasil, Criciuma SC and Benfica Lisbon. He wears the number 23 strip at Boavista FC. He received ten penalties throughout his entire career (of which 9 where yellow). In the current playtime, he caught 3 yellow cards. After an overall look at his career, we can see that Rafael Costa was substituted in 26 times but never out. In the active season, he came into the park more often just like in the previous one. 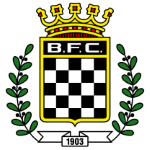 As for winning percentages, he won with Boavista FC 80% of their home matches (40% in total) in Primeira Liga. Unfortunately, his team recorded no wins in the last 5 games, registering a 4-games-in-a-row loss-streak. Boavista FC has six more midfielders in their squad, namely Nwankwo Obiora, Miguel Cid, Fabio Espinho, Samu, Idris and Aymen Tahar. Rafael Costa played 61 matches in total and hindermost appeared seven days ago. He is enjoying a great Primeira Liga 18/19 (Portugal) season so far, netting twice (9.1% of his team's sum) and initializing one goals. This leads to roughly 0.04 assists and 0.08 scores per match in the resent season. One could say he translated to a slighlty diminished form compared to last year yielding a per-match-quota of 0.09 goals and 0.14 assists. Considering he weighs around 174.16lb, Rafael Costa is approximately 6lb heavier than the average player of Boavista FC. 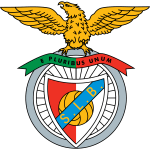 Two years and 11 months was the maximum period he ever played in a team, which is Benfica Lisbon (Portugal). His best season was Primeira Liga 17/18 (Portugal), because in this year he had his highest success in terms of both forward passes and goals. 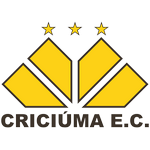 The briefest time Rafael Costa's spent on a team counts merely four months in Criciuma SC (Brazil).